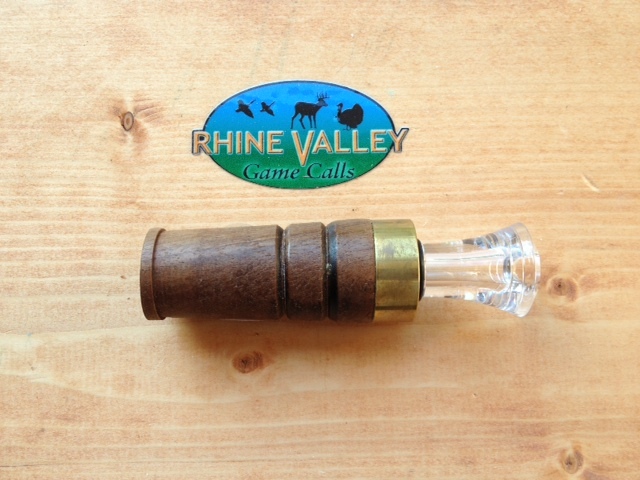 We have started producing our own Duck Calls. 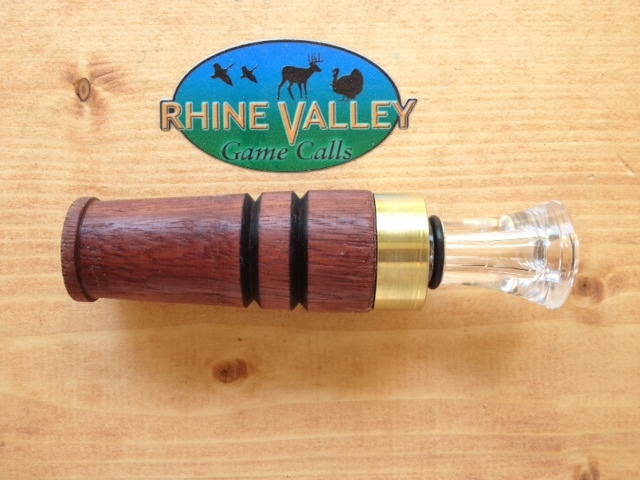 These calls are produced from Exotic Hardwoods which gives them a much better sound due to the wood density. 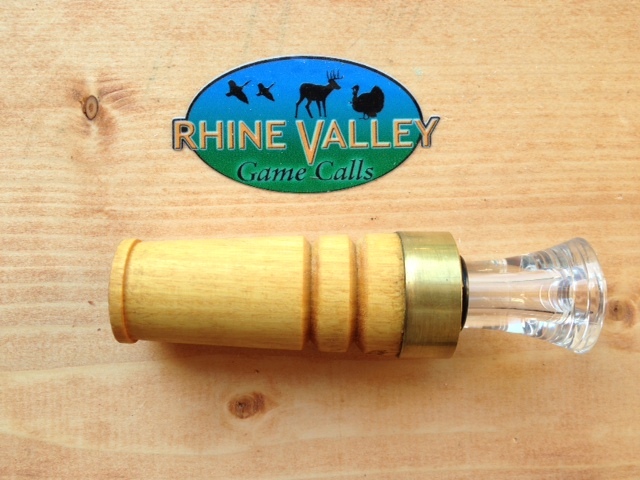 These calls can usually be shipped the same day, as they are turned in our shop. 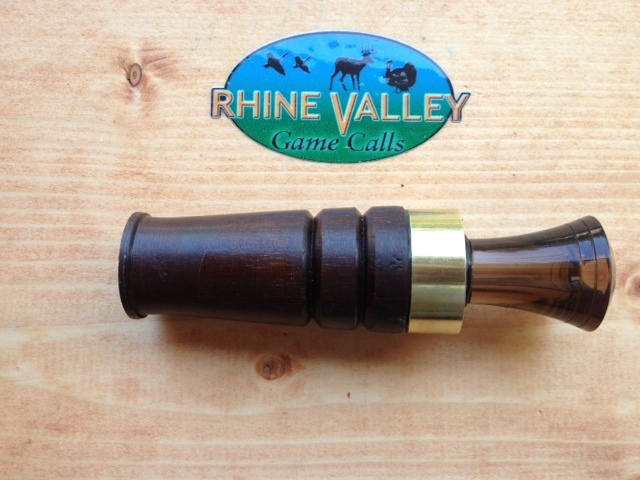 All the Wooden Calls are treated with Linseed Oil, then coated with Minwax Finsihing Paste and hand buffed to stand up to wet weather conditions. You have the choice of the following inserts. (Clear - Smoke - Bourbon - Black). Please specify when ordering otherwise the call will be shipped with a clear insert. 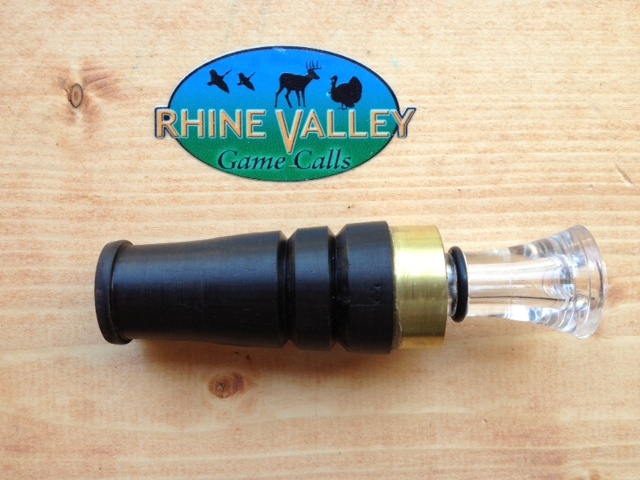 All inserts are Double Reed. 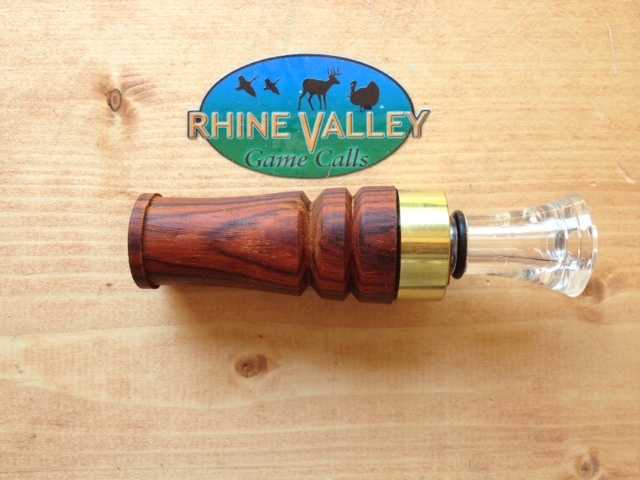 This is not only a beautiful Call, but this call has great sound due to the wood density. Very unique looking Call. 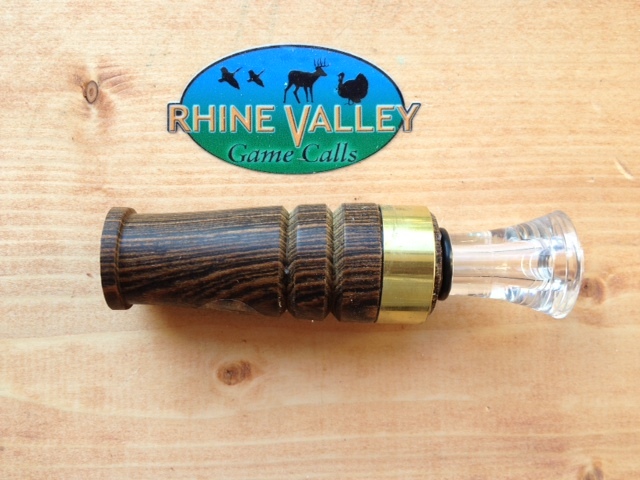 This wood is not as dense as others, but is still one of the best sounding calls. T his is a beautiful looking Call with great sound. This call is one of my favorites. 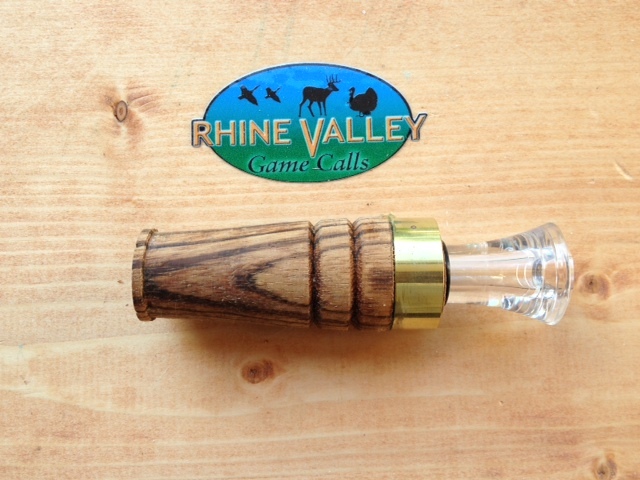 This Call is made from a less dense wood but doesn't take away from sound quality. This Call has a unique pattern when turned. 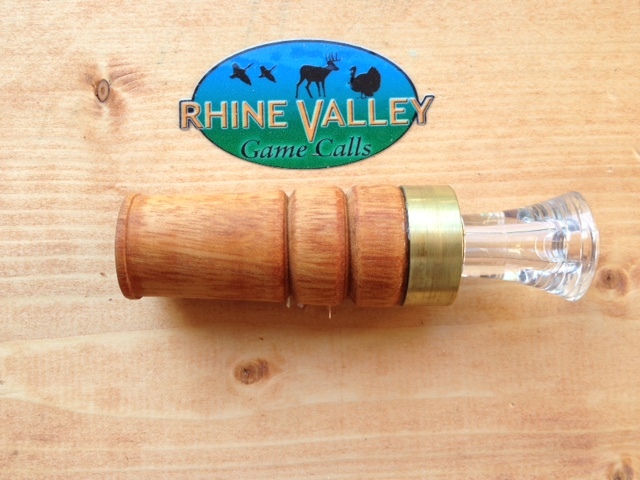 Simple Maple call with lighter density wood, but good sound for the price. This Osage Orange Call is lightweight but great sound quality. Great sounding call. Lighter density wood and an inexpensive price. This is mid range Call as far a denisty. Still a great sounding call at an inexpensive price. An Excellent Call. Medium density wood with unique wood design. A very good call.